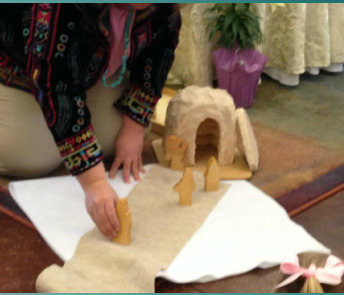 Children Worship and Wonder is an exciting way to approach faith formation with children. The approach recognizes children as spiritual beings who already have a relationship with God. They hear Bible Stories in a way that allows them to enter into the stories and form responses out of their own life experiences. It's based in the Montessori approach to learning. 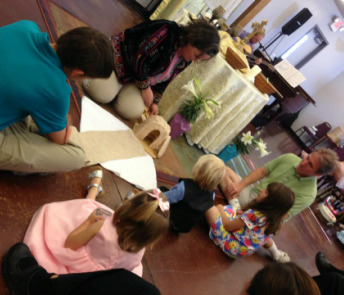 Each Sunday, children get to hear a Bible story told just for them during 10 a.m. worship. Then, they get a chance to respond to the story on their own--through art or re-telling the story. Children can go to the nursery or return to their families afterward.